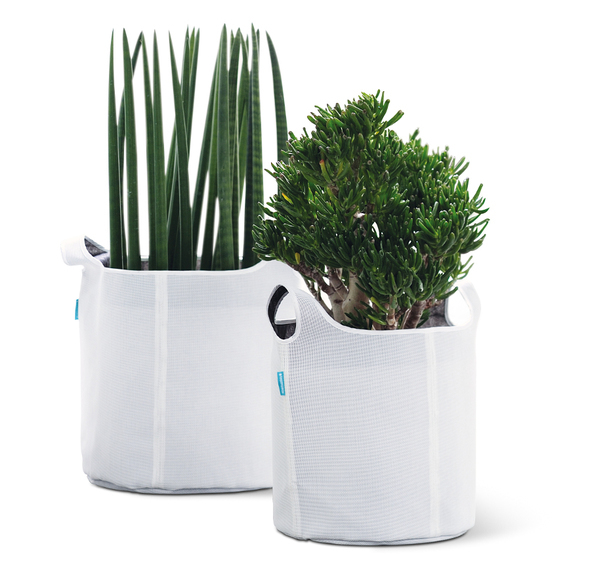 Evo is a versatile living accessory that can be used as a planter or storage solution anywhere in the house. It can, for instance, be used as a conventional cachepot for indoor plants and kitchen herbs, while the waterproof saucer protects the surface it is placed on against moisture. Thanks to an appealing colour combination, Evo harmoniously blends in with different ambiances. The textile material is washable, UV proof, breathable and highly tear resistant.